The 1966 Lamborghini Miura was just the third automobile from the automaker, following the 350GT and 400GT. It was also the first Lamborghini to include a mid-engine setup. An even more impressive achievement is the Miura’s status as the very first production mid-engine sports car that was road legal. As such, many automotive enthusiasts credit it for beginning the trend of mid-ship vehicles with two seats and high performance. 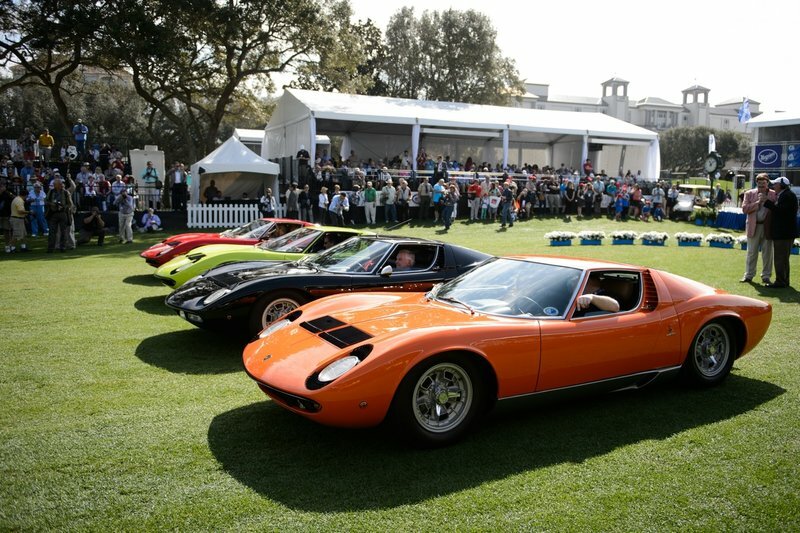 While the Miura’s production lasted until 1973, the 1966 was the first model year. Ferruccio Lamborghini wanted a road-legal and road-worthy auto with a mid-engine, and he hired Paolo Stanzani, Bob Wallace, and Giampaolo Dallara to create it. The first prototype appeared in 1965 at the Turin Auto Show to much excitement. The production model arrived a year later during the Geneva Motor Show, and the first production model became available in December 1966. Right from the start, there was a huge demand, squashing Ferruccio’s plans to only produce 30 units. 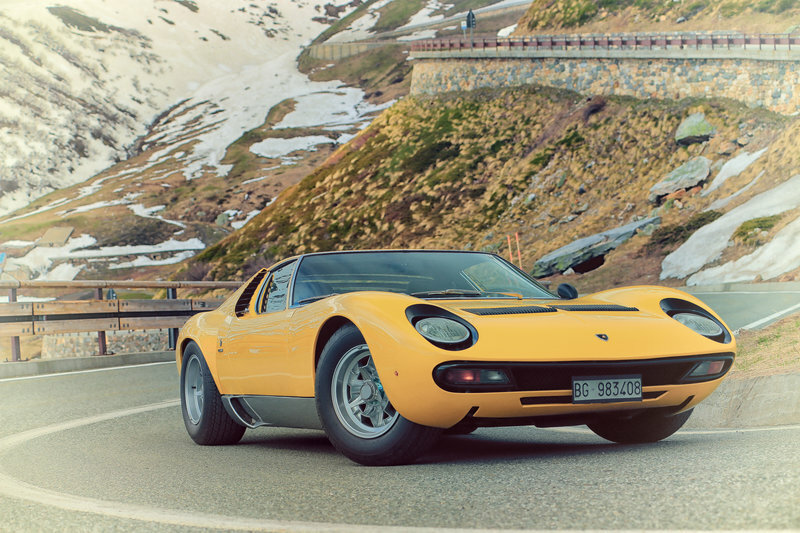 The Miura used the 3.9-liter V12 powertrain from the 350GT and 400GT. In addition to sitting behind the seats, the engine was mounted transversely for a combination no one else at the time had done. The engine generated 300 pound-feet and 350 horsepower and worked with a 5-speed manual. Going from 0 to 60 mph took 6.3 seconds, getting up to 100 mph took 14.3, and the quarter-mile took 14.5 seconds. The top speed was 163 mph, which was a very impressive figure at the time. The steel frame featured aluminum panels, and the Miura had rack and pinion steering. To help the Lamborghini stop with confidence, there were 12-inch front brakes plus 11-inch rear ones. The official curb weight was 2,601 pounds, although some say that the first 125 units had thinner steel that reduced their weight. 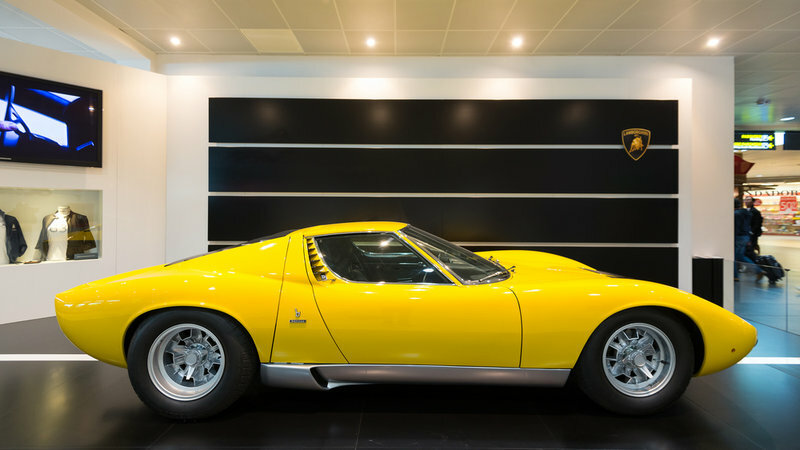 At the time, the design of the Lamborghini Miura was sensational. The body was sleek and muscular, complete with retractable headlights and slatted black eyelashes. The engine lid featured a trunk lid. The styling by Marcello Gandini enhanced that auto designer’s reputation. The 15-inch wheels featured Pirelli Cinturato tires. 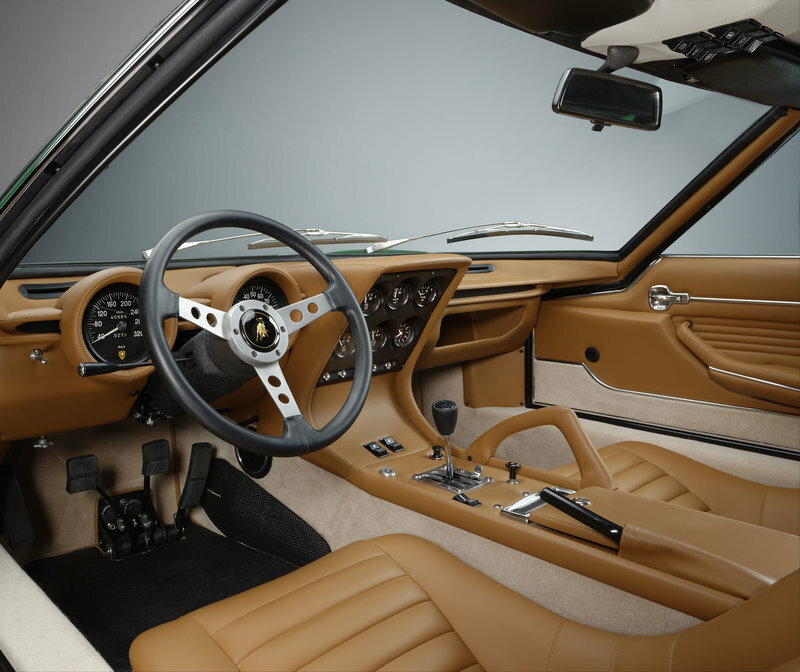 Inside, the Miura featured a low seating position and a simple dashboard, making it similar to other sports cars of the time. To stand out, however, it featured a wide and tall center console between the bolstered seats. There was also a wide center stack featuring small gauges. Many components were wrapped in leather, including the dashboard, seats, and portions of the door panels. The floor featured soft carpeting, and the interior finished off with aluminum and chrome inserts. If you are lucky enough to find a 1966 Lamborghini Miura today, you will need to shell out the big bucks. At its launch in 1966, it cost $20,000, which is the equivalent of almost $150,000 as of 2016. There were still 275 units sold, and that somewhat limited production combined with the originally high price means that Miuras for sale today are not cheap. Well-maintained models can easily cost more than $600,000 today, with some reaching a million dollars!